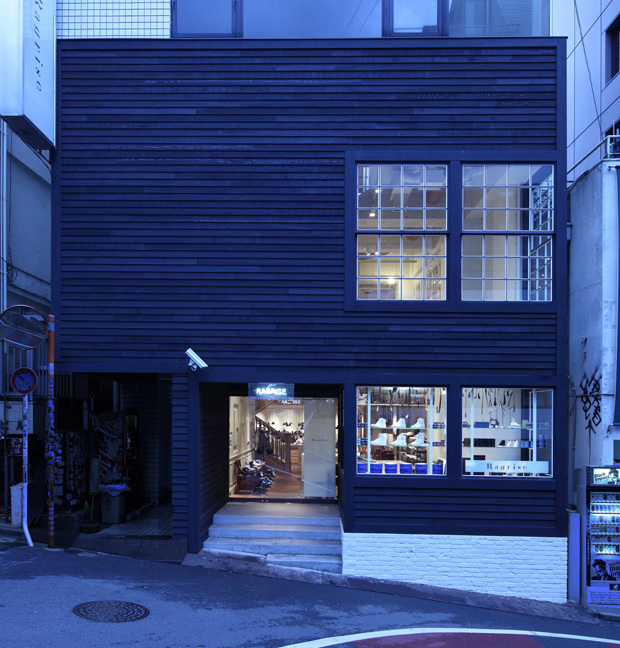 Ragrise is a high-end shoe store for men. 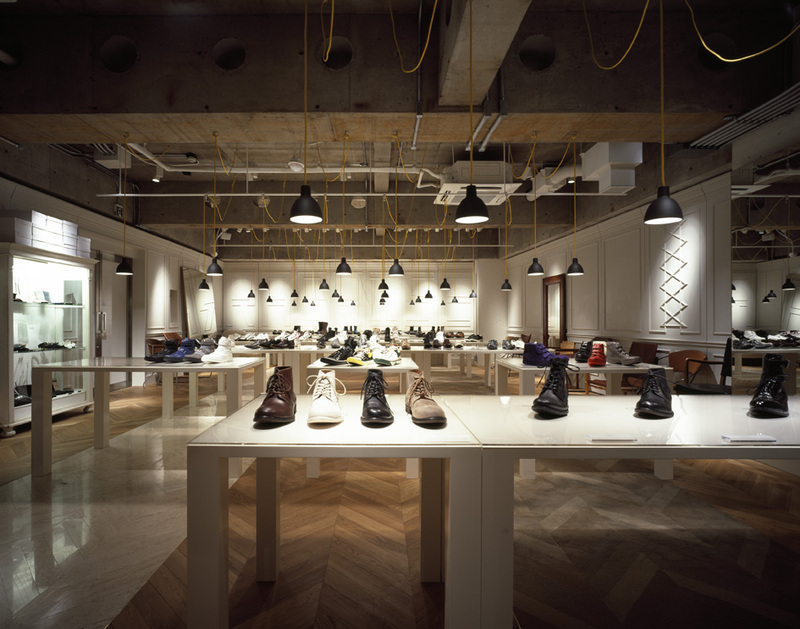 It is located in the Jinnan area of Tokyo's Shibuya district, an area where there are many stores with unique and independent styles. The first floor uses simple table fixtures to display product so that customers can easily get a sense of each individual item. 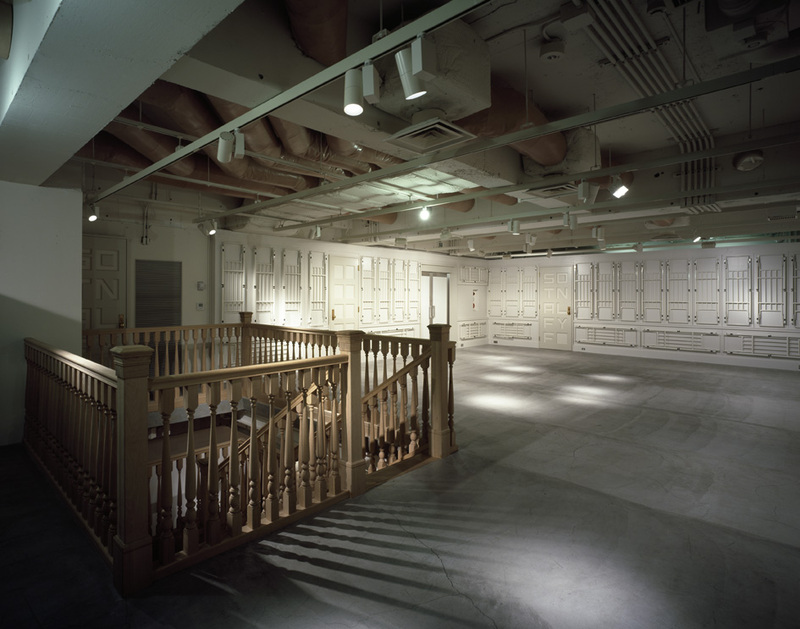 This sales approach presents a space that looks something like an art museum and though this posed some challenges both Jamo and the store had a shared sensibility about how to make the space work. 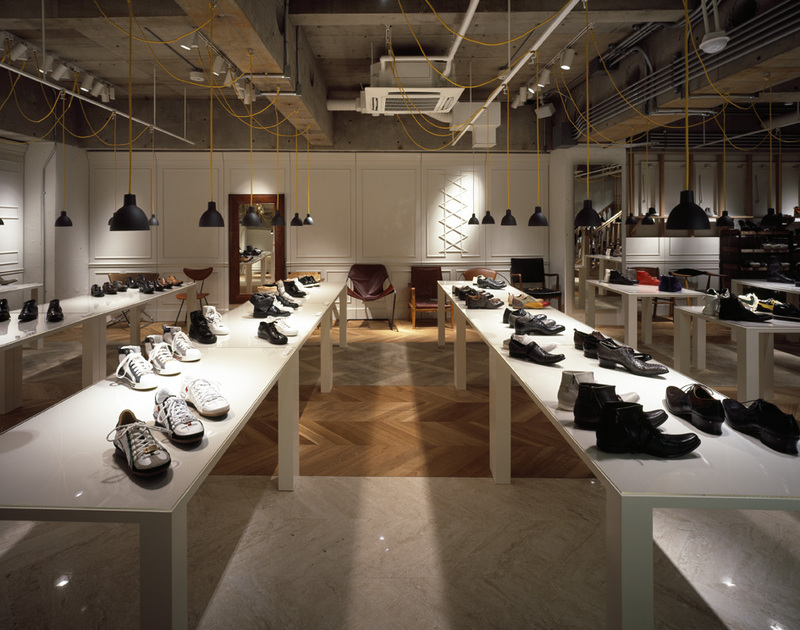 The floor uses three materials (wood, carpet and marble) to create a space where customers want to try on shoes. 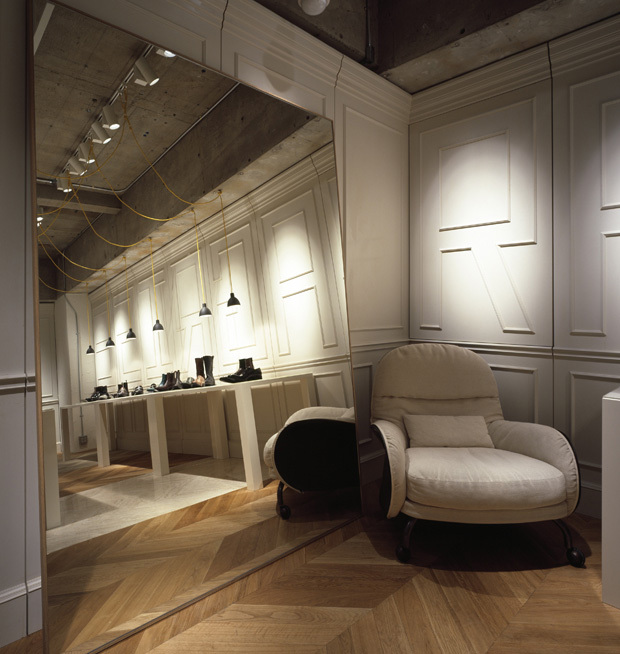 The chairs are selected with the image of those one might find in a "shoe craftsman's studio". 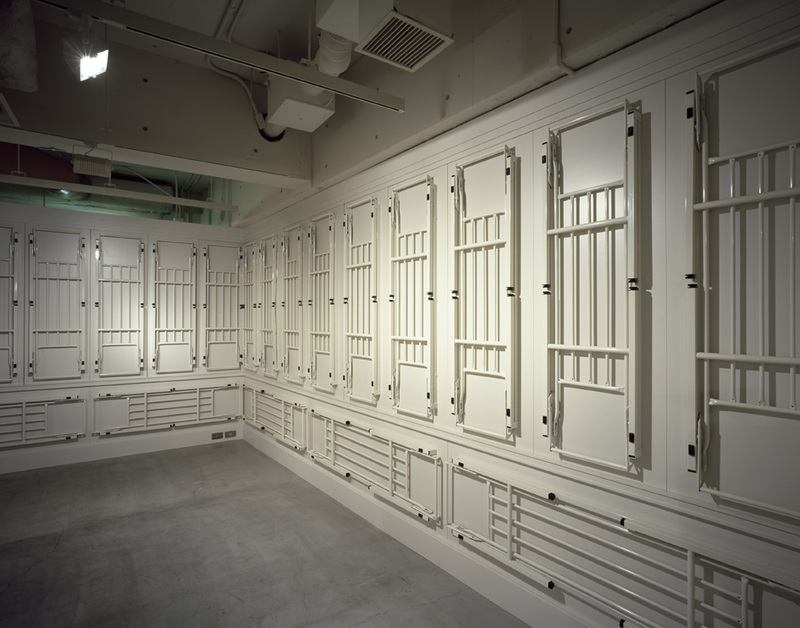 The second floor is given a flexible plan so that it can respond to a variety of space demands. Simple folding tables are affixed to the walls as a design element; they can be removed and used as the need arises. Decorative elements are added only in ways that do not interfere with the overall space: ducts in the ceiling are finished with leather, wall decorations make letter shapes, and so on. 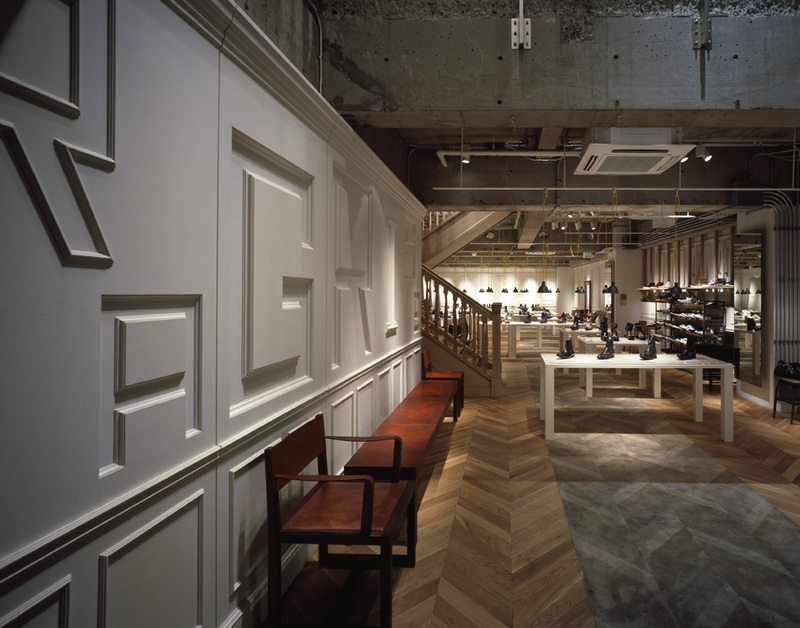 The entrance is designed with the aim of increasing shoppers coming into the store. 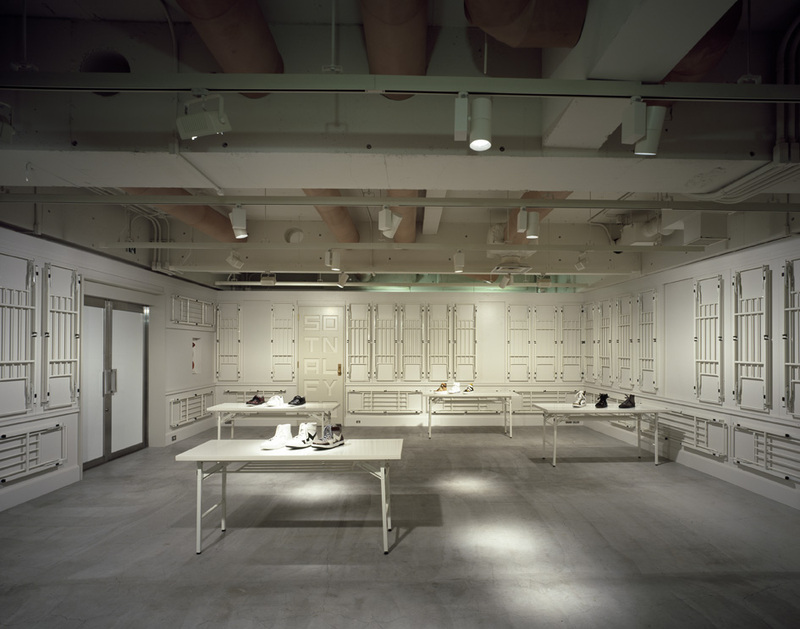 This is done by creating a sense of contrast between the simple monotone exterior and a kiosk-like area inside the store where miscellaneous accessories are displayed.